Looking for a great family holiday destination this Summer? Gisborne is the place to be. Sun, sand, surf and superb sea life are found in abundance, along with a great range of family friendly activities and entertainment. The untouched beauty and relative seclusion of the Eastland region make it a great place for families to explore and also relax. However don’t be fooled by the laid back coastal vibe, Gisborne has many great restaurants, cafes, specialty foods, amazing fresh fruit and local boutique wineries all within easy driving distances. Outdoors, indoors, rain or shine you are certain to find fun experiences the whole family can enjoy, here are our top picks. Experience the unique world of the last remaining Wa Class steam train as it winds its way around the impressive Gisborne coastline, travels overland to the small settlement of Muriwai and even takes in a local airport crossing (the only one in the southern hemisphere). Tickets for the Gisborne City Vintage Railway are available from the Gisborne i-Site Information Centre and excursion days are listed on the website along with some great pictures of the train on its scenic journey. With over 131 hectares of exotic and native plantings, a natural adventure playground, a nationally significant Homestead Garden, guided tours, accommodation and walking tracks galore the Eastwoodhill Arboretum makes for an excellent family day out. Open daily between 9am and 5pm the National Arboretum of New Zealand is a top visitor destination in Gisborne attracting thousands of visitors of all ages throughout the year. 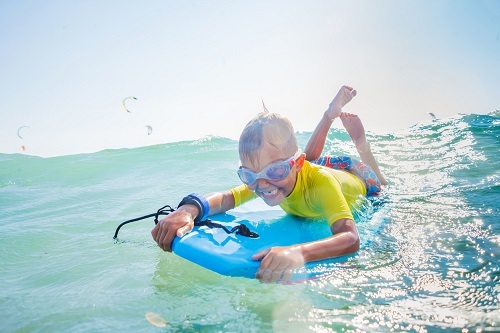 Whether you are a complete beginner or more advanced surfer, a family lesson with WOW Surf School in Gisborne is a great way to spend some quality time together while getting the the whole family involved in a shared learning experience. The surf school conveniently provides all the gear you will need, including wetsuits and surf boards along with the opportunity to capture your surfing fun on video or photos for a nice surfing memento. Lessons are tailored to suit and are obviously weather dependant. Dive Tatapouri operate the famous reef ecology tour where visitors get to experience first-hand the natural inhabitants of Tatapouri Bay. Dressed in waders, participants have the chance to have up close and personal encounters with Yellowtail Kingfish, Trevally, Kahawai, Crayfish, Octopus, Conger Eels and if you are lucky – even feed wild stingrays. Suitable for all ages with family discounts available, the reef ecology tour is a great way to have fun while engaging in building life-long memories. If it’s pouring with rain and the kids are getting scratchy from being cooped up all day long, the Crazy Caterpillars indoor play area and café is a great quick fix. Let the kids blow off some steam and use up a whole lot of energy at the large indoor play space which includes a ball pit, swing bridge, trampoline and rentable children’s toys. For parents the onsite café is fantastic for a quick refuel and recharge while the kids are kept busy. If your stay in Gisborne is just part of an epic East Cape road trip, schedule in some time to hit the Hawkes Bay’s number one family attraction as you head down country through to Hastings. New Zealand’s only water theme park, Splash Planet is home to some thrilling water based slides and rides including the Skycastle Screamer, the Double Dipper and of course the Master Blaster along with some popular dry land activities like Mini Golf and Quad bike riding. The onsite facilities include BBQ, kayak, locker and clothing hire along with a handy toddler pool and well equipped changing areas. 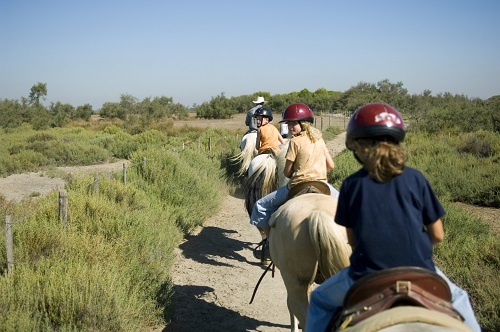 The friendly team at Riverview Horse Treks specialise in family group treks. Whether you are a total beginner or have ridden many times before a variety of horse and pony sizes mean you can be easily matched with a suitable ride. Tailored trek lengths and paths, plenty of fresh air, beautiful scenery and great value for money make this an awesome family experience bound to be one that everyone will remember. For something a little less action-adventure, how about taking the kids to the Tairawhiti Museum. Located in heart of Gisborne and widely considered one of New Zealand’s best regional museums, a visit to the Tairawhiti Museum is not to be missed. With a mixture of semi-permanent and ever changing exhibitions that vary during the year plus an art gallery on offer there is sure to be something for everyone. Of course you will be needing some kid friendly accommodation to make the most of your stay in Gisborne – a solar heated pool would be good, complimentary bikes and scooters would be great, free WIFI and an in-room PlayStation would be excellent! Motel Oasis Gisborne is the premium affordable family accommodation provider in Gisborne, along with all of the above they offer free guest laundry facilities, SkyTV, complimentary tea and coffee and the convenience of cooked and continental breakfasts available on request. For an affordable, convenient, child friendly place to stay while in Gisborne you can’t go past Motel Oasis Gisborne.